Binod Shahi 'Nepa' a 31yr old humble youth from the alleys of BhurungKhel, Kathmandu has been relentlessly working towards educating and serving the remote and very backward society in Upper Dolpa region of the Himalayas since 2005. 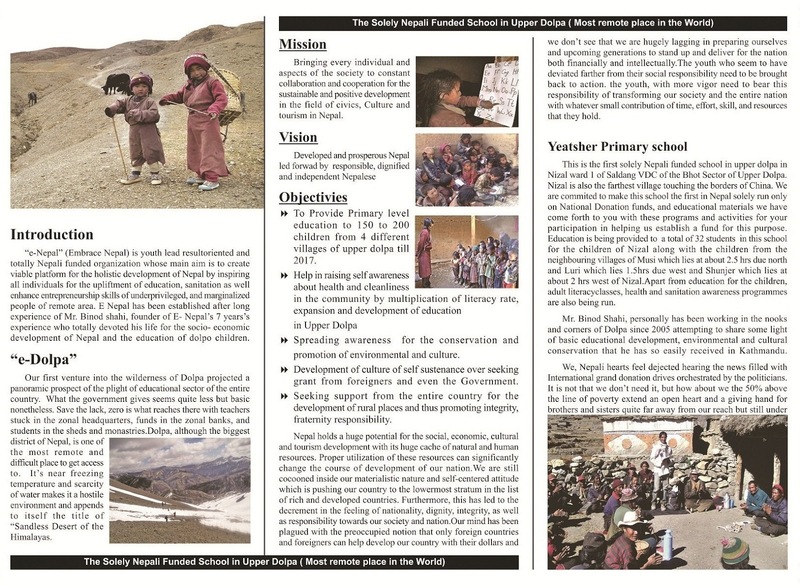 Over the years, he has not only culminated the society in Dolpa with the values of education, he has also won the hearts of the people there, thus, being known as the 'Sir' of the Upper Dolpa. A student of Fine arts as well as Sociology/Anthrpology and Rural Development, Binod has been a teacher and running two schools Yeatser Primary School and Himalayan Dhralarong Primary School at Nyisal and Komag of Saldang, Upper Dolpa respectively. 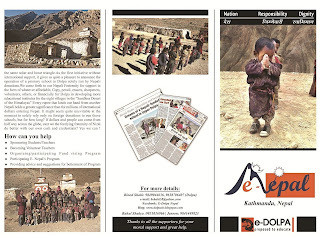 He also encourages Nepalese people to participate in supporting Dolpa in every little way they can, thus, making them genuine partners in the development of the region and the nation as a whole. He has been selflessly visiting Dolpa with every basic facilities he can cater to the people there. He lives there for 6 months surviving on what the place has to offer starting from April. Rest of the months, he is collecting funds for the following year. The video is only an effort to document his noble efforts.